We offer a wide range of cleaning services to meet the demand of Guildford residents and businesses for top-notch cleaning services. Backed by over 10 years of experience in cleaning homes and workplaces of different sizes, we are able to help you maintain a tidy property without doing all the cleaning yourself. You can schedule a weekly, fortnightly, or monthly cleaning, or make an appointment for a one-off cleaning to spruce up your house. Need our trusted cleaners to perform a massive cleaning of your home as early as the next day? Simply book a cleaner online, and we will arrange the earliest cleaning appointment for you. Cleaning the house for hours at a time takes away your chance of spending leisure time the way you wish to. Instead of watching your favorite movies on your free day, you find yourself scrubbing the bathroom floors and cleaning the windows. Let our team of trusted cleaners take over this time-consuming task for you. We will take care of organizing your living area, wiping dirt off kitchen surfaces, mopping the floors, and removing cobwebs, so you can enjoy your free time doing things you love. There are strict rules surrounding end of lease cleaning. As a renter, you want to make sure that the property will be presentable to your landlord upon final inspection to reduce the risk of forfeiting your security deposit. At Pristine Home, we provide end of lease cleaning that includes cleaning light switches, removing cobwebs from the ceiling, dusting curtain rails, and vacuuming upholstery. By setting a regular apartment cleaning appointment with us, you can keep clutter at bay and come home to a refreshed living space. Our professional cleaners start by vacuuming the floors, dusting furniture, and cleaning the toilet. We then proceed to cleaning the oven, microwave and refrigerator. Before you move out of your rental, make sure to perform a detailed cleaning of the place to make it look as close to its original condition as possible. Leaving the property in bad shape will put your deposit at risk, so if you cannot commit to cleaning the place, call in our trained cleaners to take over the task for you. We will deep clean the kitchen, bathroom, and living areas to make them presentable before the final inspection. We excel in taking the burden off your shoulders with our bathroom cleaning service. Instead of spending hours scrubbing the bathroom floor or getting rid of mildew buildup, let the expert cleaners of Pristine Home take over, so you can better enjoy your free time. We start by dusting door frames, and removing dust from corners. After which, we proceed to disinfecting the toilet and cleaning the vanity. Spring is the best time to do a detailed cleaning of your house. But if you are unsure how to get rid of the dust buildup that has gathered on the corners of your home, then a practical option is to outsource the cleaning and let our trained cleaners handle the soot buildup on the fireplace, as well as the cobwebs on the ceiling. Before you move to a new place, you are required to clean a rented property to make it presentable to potential renters. Let our team take care of the cleaning aspect of moving, so you can focus your attention on packing your things and finding a new home. 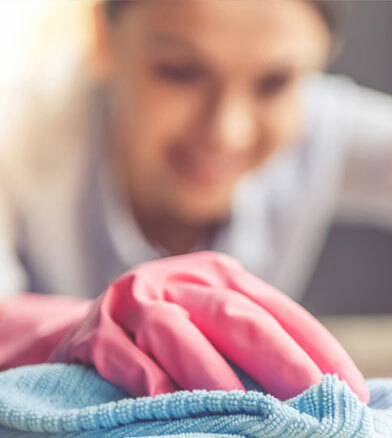 We believe that quality cleaning services need not cost a fortune, which is why we offer rates that are based on the current pricing of other cleaning services provider in Guildford. How’s that for value-for-money! Our clients continue to give us great feedback for the quality of our services, and for the efficiency of our cleaning team. We take pride in providing top notch cleaning services every time. 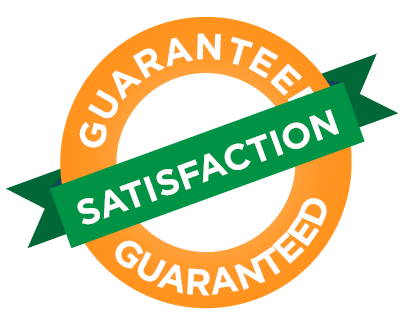 We also ensure that you are happy with the end result of our cleaning, that’s why we provide a 100% satisfaction guarantee to prove our commitment to your complete satisfaction. House Cleaning Taking Too Long? When you start cleaning the house, it may begin with picking up trash, then organizing paper clutter, until you are cleaning every room and suddenly realize that you spent almost five hours just to get the house looking organized. We understand that house chores take away time from other important things, which is why we provide comprehensive cleaning services that are ideal for homeowners who wish to take more control of their time. Leave the dirty work to our cleaning technicians, and we ensure that your home will be looking and smelling refreshed in no time. 10 Years Experience: We’ve been operating in Guildford and the surrounding suburbs for 10 years now! In less than 60 seconds your cleaning appointment can be quoted, approved and booked using our safe and secure website. Let us take care of all the details and get your house cleaned by us today. We arrive at the time you booked us for and are always on time and reliable. Our 5 star customer reviews and outstanding service speaks for itself. Out clients love the work we do for them. At the core of our business model are strong values of trust, respect, integrity and relationships. Our clients ask us back time and time again. Booking a home or workplace cleaning service? The process takes 60 seconds or less, as you simply have to visit our website to book a cleaner, and review the instant quote that will appear. We will take care of everything from there.